Happy St. Patrick's Day! Today we celebrate with parades, food, and lots of green! Green is a great color for starting something new! Green symbolizes growth, and new beginnings. It is the color of renewal. 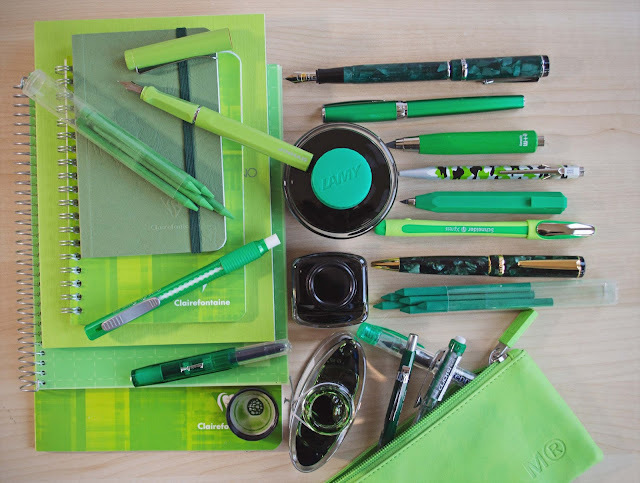 Read on for some of our favorite products in GREEN for inspiration this St. Patrick's Day! Ice Sport translucent barrel fountain pen, by Kaweco of Germany. 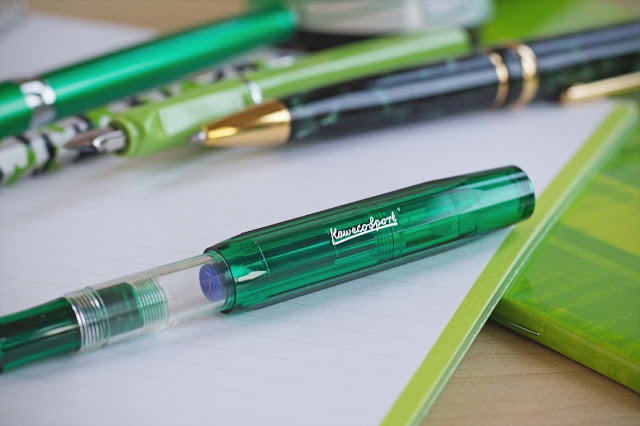 The Ice Sport closely follows an original 1935 Kaweco octogonal design. It's compact size feels just right in your hand, 4.1" long closed, 5.2" long open. 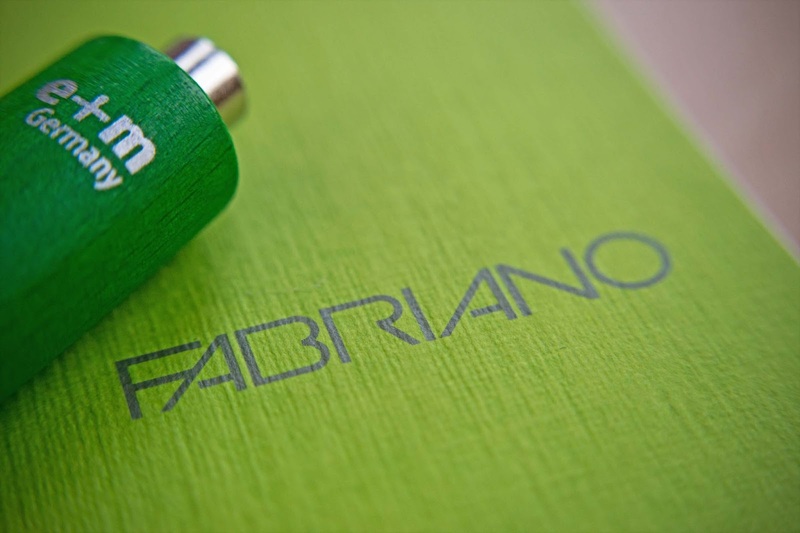 The cap screws securely on to close the pen and protect your pocket and the nib. 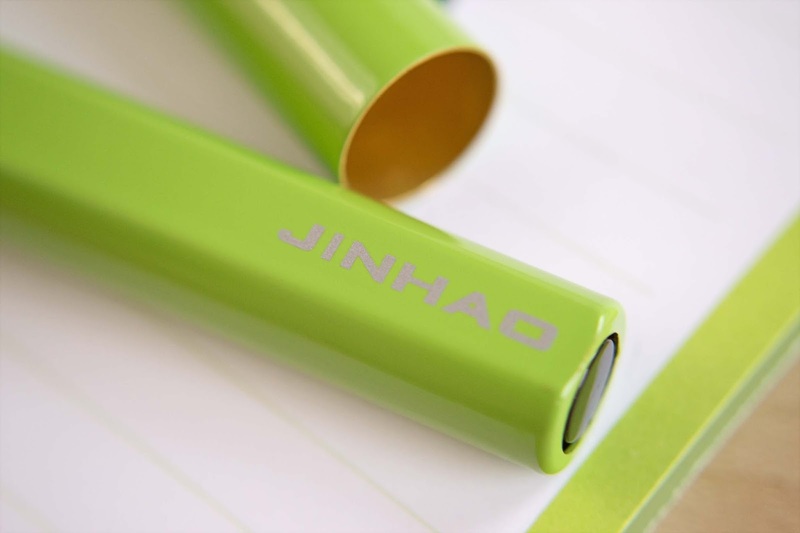 The Jinhao Metal Barrel fountain pen in Apple Green is a bright spring green fountain pen. 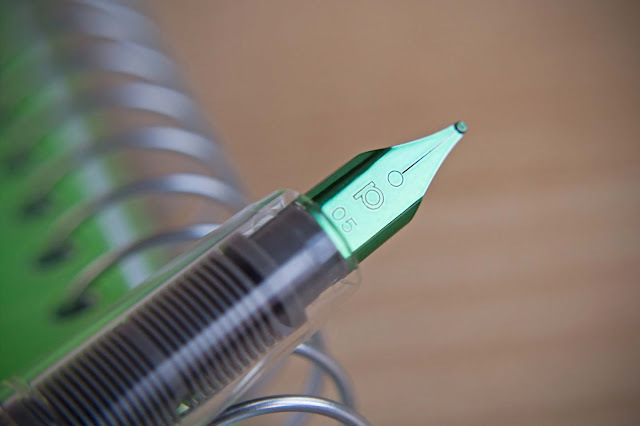 This pen gets great reviews by users in performance and price.